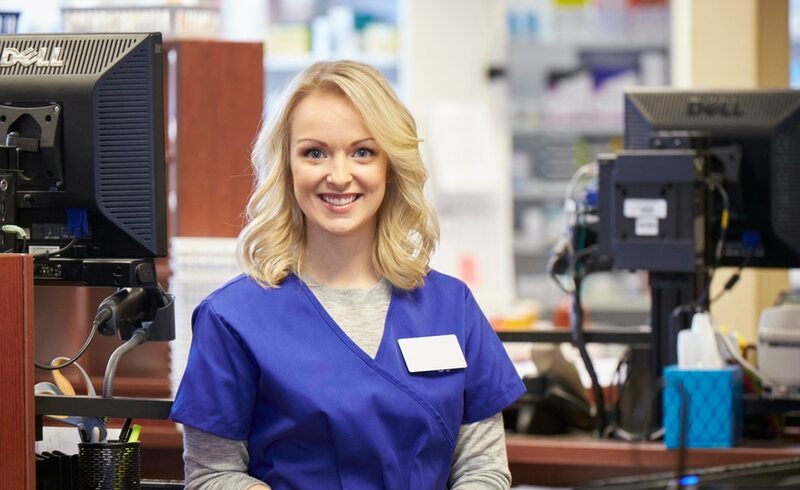 Our vision in the pharmacy is to help people live healthier lives, and we do that by pursuing our mission to simplify healthcare by creating solutions that combine health, wellness, and nutrition; connecting with customers on an emotional and personal level. Whether you’re looking to get your start in the healthcare field, or you’re a seasoned professional with years of experience, we have a place for you. Find your perfect fit and be part of a great team, while helping us achieve our vision and pursue our mission, by joining the pharmacy today! Scottsdale, AZ, US, 85255 20427 N Hayden Rd 660 - Fry's Food Stores of Arizona, Inc.
Portland, OR, US, 97225 7700 SW Beaverton Hillsdale Hwy 701 - Fred Meyer Stores, Inc.
Price, UT, US, 84501 1075 E Main St 706 - Smith's Food and Drug Centers, Inc.
Riverton, WY, US, 82501 1200 W Main St 706 - Smith's Food and Drug Centers, Inc.
Phoenix, AZ, US, 85021 1815 W Glendale Ave 660 - Fry's Food Stores of Arizona, Inc.
Salem, OR, US, 97302 3450 Commercial St Se 701 - Fred Meyer Stores, Inc.
Brookings, OR, US, 97415 325 5Th St 701 - Fred Meyer Stores, Inc.